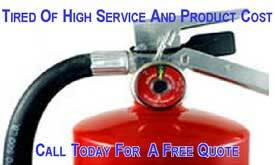 Paying too much with your current fire suppression and extinguisher service provider? D&M has the lowest prices around - no gimmicks. Founded by firemen in 1989 D&M Fire and Safety Equipment has continued to grow and change with the times, as new and improved equipment and technology emerges. You can always count on D&M Fire for expert advice on all types of fire suppression systems, fire extinguishers, training and emergency lighting. We strive to continue service and training to you and your employees after the initial install, no matter who installed your important safety equipment. We don't want not to be the biggest but to be the best. 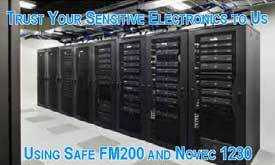 Your complete safety is our only business. 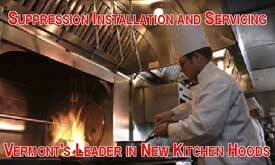 Our technicians have a very high experience level. We also hold many certifications for Kitchen, Industrial, Vehicle and Clean agent system design, install, and inspections. 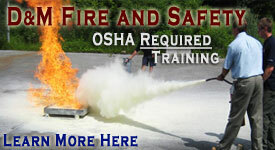 Along with fire extinguisher sales and service, emergency lighting, smoke detector, high pressure DOT testing, and hand portable fire extinguisher training. Truly a full service. When we go into a location we just don’t check the fire extinguishers or suppression systems, we are looking at the whole property for other life safety hazards. We even give a quick 2-3 minute class to employees on how to use fire extinguishers as we walk around during our inspections. You can have the best equipment money can buy, but you have to know how and when to utilize them. We sell, service, and maintain all types of fire extinguishers, suppression systems such as paint spray booths, gas canopy suppression, along with hood suppression, clean agent, and other special hazards systems. 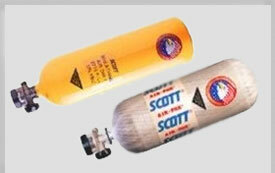 We also maintain emergency lighting, along with smoke detectors. D&M fire also has a complete DOT testing facility to test all type of cylinders such as SCBA, SCUBA, CO2, and other high pressure tanks. We offer fire extinguisher training to employee’s, along with our employee purchase program where employee’s can purchase extinguisher at discounted prices. 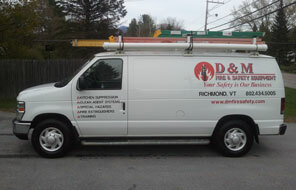 ...and let us show you the quality and value of a relationship with D&M Fire Safety - Click here. Connect with us & see what others are saying on Facebook!